Born at Warsaw, Poland on 12 January 1931, he lost his parents and an older brother during the Holocaust. At the age of 10, he was smuggled out of the Warsaw Ghetto and hidden for two years by Dr. Kazimierz Weckowski. The building in which he was hiding was bombed and one of his legs was severely injured. After he was liberated in January 1945, he underwent surgeries in Poland and Sweden that restored the use of his leg but left it shorter than the other one. He came to Canada in late 1947 and, ten years later, graduated with a degree in Civil Engineering from the University of Manitoba. He worked for over 40 years with the Manitoba Department of Highways and Transportation, retiring in September 1997 as Director of Bridges and Structures. After retirement, he became International Liaison Officer with the ISIS Research Network and Engineer-in-Residence at the University of Manitoba. 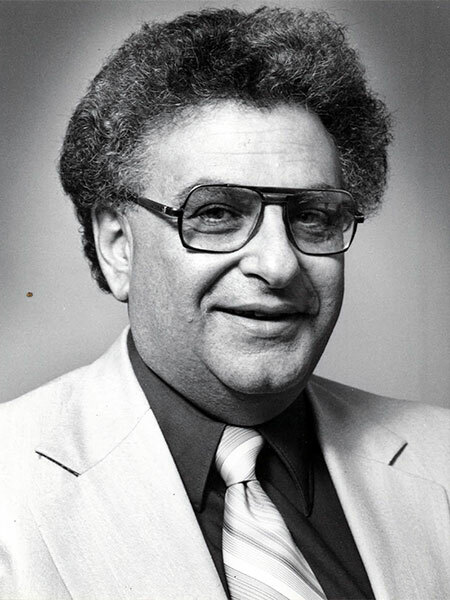 He served as President of the Association of Professional Engineers and Geoscientists of Manitoba (1980), President of the Optimist Club of Assiniboia, President of the Manitoba Schizophrenia Society, and Second Vice-President of the Schizophrenia Society of Canada. In recognition of his service, he received the “Sovereign Award for Volunteers” from the Governor General of Canada. He died at Winnipeg on 8 March 2018 and was buried in the Rosh Pina Cemetery. Obituary, Winnipeg Free Press, 10 March 2018.